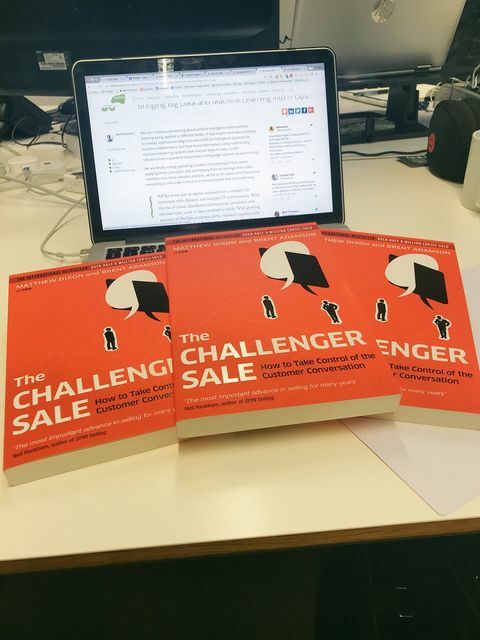 Following a recommendation from Spencer George of Pegasystems, I recently got hold of a copy of The Challenger Sale, a very well regarded book based on a bit of research by two guys at the CEB. The crux of the books comes down to empirically testing what characteristics embody a good salesperson. Without spoiling the punchline, the book sets out that the top performing, most consistent salespeople are not those who are 'relationship builders' and who get on well with everyone, as would have been my first guess. Quite the contrary, it's someone who creates 'constructive tension' in the relationship and who, more importantly, challenges their prospect/client to think about their world, business and problems in a different way. In short, someone who educates their prospect and adds unique value over and above their product or service. I then came across this quote earlier on, "I have never in my life learned anything from any man who agreed with me," (Dudley Field Malone) and thought it summed up this sentiment quite well. Whilst many individuals might feel they fit more of this 'relationship builder' type (and are indeed successful), the research suggests that the top performers don't seek to be someone's best mate. Merely agreeing with your prospects and regurgitating something which they already know or already intend to do means that you might share the same viewpoints, but you are not separating yourself from the competition. If you are one of many suppliers who all get on well with the customer, all providing a very similar product to solve the exact same point in a similar fashion, the only differentiator is price. You will inevitably get into a price-war and this is not a good spot to be as someone can always go cheaper. However, if you can challenge the client's views and actually teach them about their business, industry and problems in a completely unique way, then that is incredibly powerful. Moreover, "if you share powerful ideas, people will come to you to implement them, and you can have a valuable service offering that does that" (Daniel Priestley). 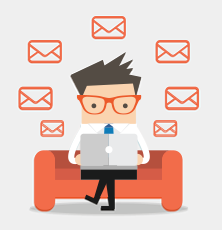 There is a real opportunity in 2018 to educate your customers and prospects through your face-to-face meetings, online content, and regular relevant insights. Being a thought leader does not mean you have to be doing a keynote each and every week but rather, think of this in terms of your own business and see how you can not only challenge the current widespread assumptions, but also add value to your clients' businesses through doing things differently. This is a competitive advantage in its most refined form - doing something that nobody else can do.